T7’s first palette swap character. Lee Chaolan and his alter-ego Violet, make their return in T7. There are very little to no differences between the two so I will refer to Lee for this primer. Lee is a very CH orientated character. He has one of the best keepout moves in the game with b4, a CH launcher with fast recovery, which will interrupt the opponent’s approach for big damage. B4 can be cancelled into his HMS (Hitman Stance) to make it harder to whiff punish. Upclose, Lee has plenty of tools to work with. His close ranged game consists of a very heavy poke style whilst having strong CH tools such as 223; a CH hit-confirmable jab string which leads into a lot of damage and wallsplat. His df1 has an extremely good hitbox and high crushes well so it can be hard to fight out of Lee’s pressure. His WR34 is extremely good for initiating offense from range as its + on block and is a good lead into Lee’s CH game upclose, this complements his slide (ranged knockdown low) very well. 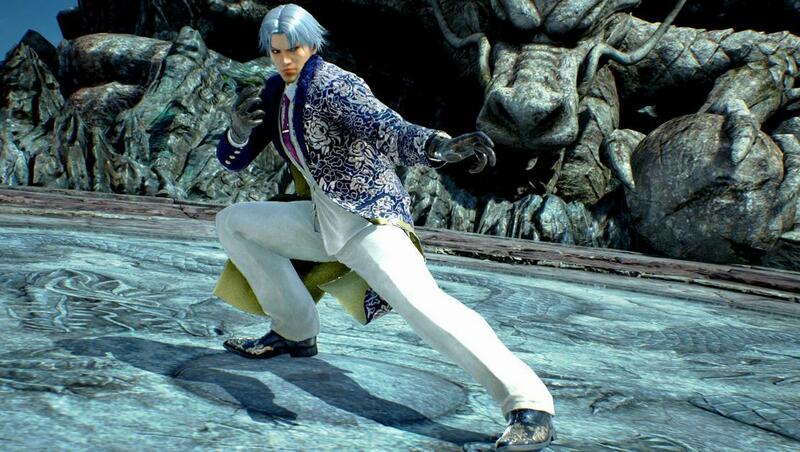 His aforementioned stance HMS has a few exclusive moves to it, and can be used as an evasive stance for Lee after certain moves to punish retaliation from the opponent. Lee has one of the best wall carries in the game with his b2 loops allowing him to carry to the wall further than most characters. While Lee is strong upclose and has good keepout tools, his whiff punishment is amongst the worst in the game as he has poor ranged moves to whiff punish with. As a result of this, it's recommended to stay in your opponent's face with Lee to enforce his CH offense. That said, due to his offense being CH heavy, it can be hard for Lee to take the lifelead off a defensive opponent as his lows are very poke orientated. One of the best keepout tools in b4. Strong CH game upclose and further out. Tied best wall carry with Nina. Can be difficult to make comebacks.